PC gaming is awesome for many reasons– better graphics, higher frame rates, PC exclusive titles, the ability to use a mouse and keyboard, and sales. Oh, the sweet, sweet sales. When playing a shooter, using a mouse is far more accurate than a controller’s analog stick, and the mouse/keyboard combination superiority proves itself in competitive, cross-platform titles like Fortnite. But controllers do have their strengths. For instance, they don’t restrict you to sitting in an upright position when all you want to do is casually play Skyrim. Moreover, controllers actually are superior in some genres, like racing games and fighting games (assuming you’re unwilling to invest in pricey racing setups and fight boxes). With that being said, it’s time we actually help you find the best PC gaming controller for you. Which Controller is Best for You? The Xbox One Wireless controller has been on the market for several years now– basically since the release of the Xbox One-- and it is easily one of the most popular gamepads today… probably because it’s one of the default controllers for the two most prominent, modern, yet long-lived consoles on the market. This controller is ergonomic, responsive, and reliable. When compared to the Xbox 360, it boasts a far superior D-pad, and the controller itself feels more comfortable to hold in your hands, especially after several hours of non-stop play. 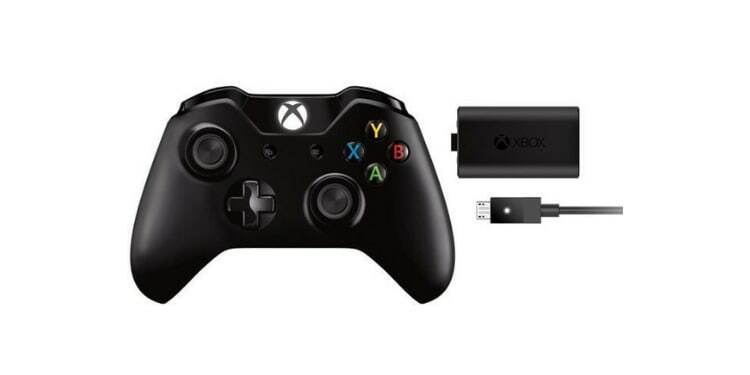 Utilizing Microsoft’s own “Xbox Wireless” connectivity system, this controller can easily connect to your gaming PC without having to install any other compatibility software. The controller can also be connected via Bluetooth, which is definitely a nice touch. This is a great option for any PC gaming convert who has recently switched over from console who is a bit intimidated by the keyboard and mouse learning curve. The one bad part is that this uses AA batteries, which means you should expect to invest in a lot of those. If you’re uninterested in buying batteries, then might we recommend Sony’s DualShock 4-- the default controller for the PS4? This controller feels quite sturdy in your hands– it’s obvious that Sony didn’t cut corners when designing and manufacturing this gamepad (Well, not with the newer releases of the controller, the earlier batches were known to wear down relatively fast). Although this controller wasn’t intended for use on the PC, if you’re looking for a good joystick for PC, then it’s still one of the best options. 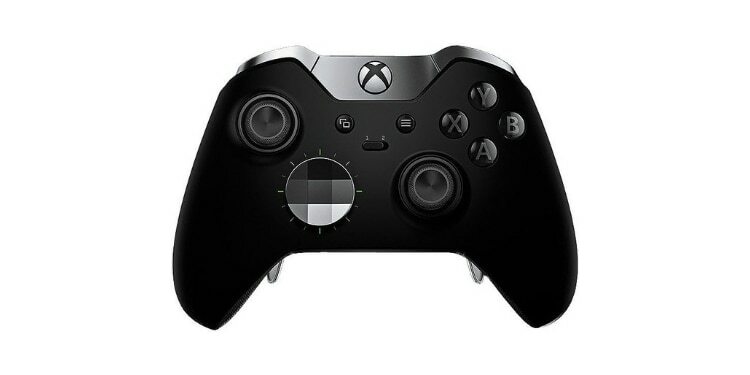 You’re going to have to jump through a few hoops before you can connect this controller, though; unlike the Xbox controllers which are supported by PC natively because Microsoft makes both Windows and Xbox. Instead of purchasing Sony’s expensive USB adapter, I’d recommend using the free DS4Windows software, which lets you connect your PS4 controller to your PC (mostly) hassle-free. It effectively spoofs your Windows OS into treating the DS controller as if it is an Xbox 360 controller, meaning any PC game that is compatible with an Xbox controller will be compatible with your DS4 as well. Pretty cool, right? Editor’s Note: Personally, in my experience, I have had fewer technical issues when connecting the PS3’s DualShock 3 to my PC via the DS4Windows software. So, if you don’t mind its less ergonomic design, then it might be a worthy alternative. Although “Elite” is simply a marketing ploy in most instances, this controller actually makes use of the name. The controller is clean, sleek, and quite frankly, gorgeous. For those of you who care about aesthetics in addition to functionality, this is the PC controller for you. It also feels heavier and sturdier than most other pads on the market, including the vanilla Xbox One controller. What sets it apart, however, is its customizability. You can tweak the triggers’ min/max values, button mapping, profile designations, and stick sensitivities. 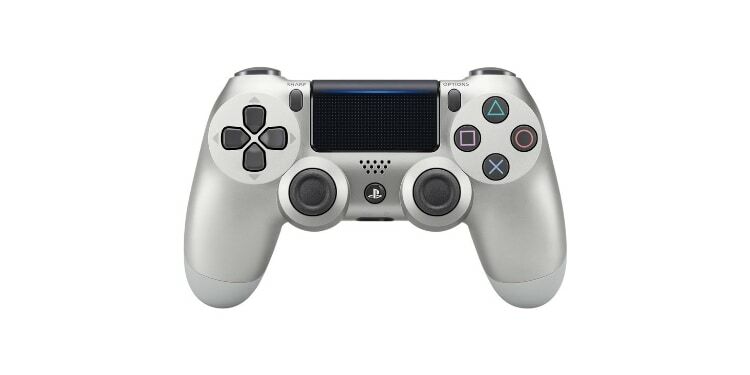 It even comes with three sets of analog sticks (standard, domed, and tall), two different D-pads (faceted [seen above] and normal), and four paddles. What are the paddles? Well, it’s easiest to understand by looking at them, but basically, these are, well, paddles, that are on the back of the controller which let you press buttons with your fingertips so that you don’t have to take your thumbs off of the analog sticks. All of this does come at a price, however, as it is more than twice as expensive than the default $60 price assigned to most of the other controllers. Hey! It’s an actual game controller for PC; specifically, not incidentally. This is Valve’s first try at making your couch a good option for PC gaming… and you can definitely tell they haven’t done this before. The hand grips are pretty big, an intentional decision designed to arch your thumbs over the touchpads. Unfortunately, they’re a bit too big for my liking, and can grow uncomfortable after a while. It’s easy for your fingers to tense up after prolonged use, making it harder still to use the controller effectively. So, if it’s not an ergonomic gamepad, why did it make an appearance on this list? It’s still the first of its kind– unlike all other gamepads on the market, this one allows you to play PC games that otherwise wouldn’t be compatible with a standard controller. If you’re playing a game that does support standard controllers, I’d recommend going with an Xbox or PS controller instead. Conversely, if you find yourself wanting to play a game that must be played with a mouse and keyboard, the Steam Controller is your best bet to replicate mouse and keyboard functionality. It’s also worth noting this controller isn’t as reliable once you take it off of Steam, which might be a bigger issue going into the future since the Epic store is buying more exclusives and other companies are utilizing their own, proprietary launchers. 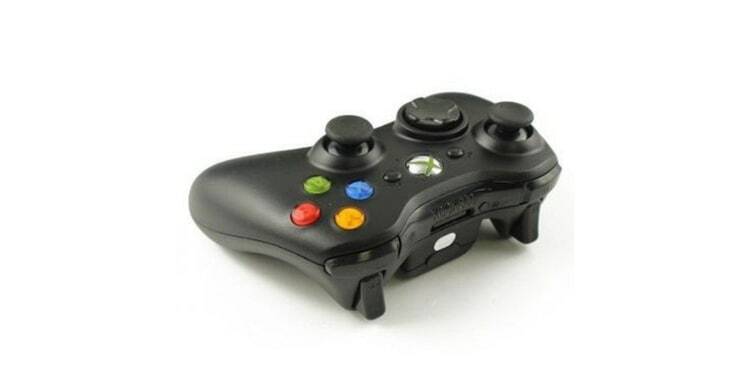 The Xbox 360 controller is what most PC games are designed to be compatible with– in fact, when you connect any controller-- PlayStation or Xbox One-- your games detect an Xbox 360 controller. They may not be as ergonomic as other, newer controllers, and the D-pad could use some improvement, but it’s still hard to argue that this isn’t a great controller. In fact, I used an Xbox 360 controller for years, primarily playing Call of Duty back in its heyday (yes, before boosting and wall running) and I loved it. If I were to buy a console controller for my PC, this would be the one I choose. It’s cheap, gets the job done, and I’m more familiar with it than an Xbox One controller because I switched to PC when the One was announced. Using a mouse and keyboard is definitely one of the best aspects of PC gaming, especially if you’re a competitive gamer or playing a shooter. On the other hand, the mouse and keyboard can also be one of the PC’s biggest drawbacks – especially so if you want to switch things up, kick back, relax, and play Skyrim, GTA, or The Witcher 3. Each controller has its own feel to it, from the shape of its grips to the crispness of its buttons. I used to spend a lot of time on my Xbox 360 before I switched to PC when the Xbox One was first announced. Because of my time on the sticks using a 360 controller, an Xbox 360 controllers feels most comfortable to me. However, many would argue that the Xbox One controller is more ergonomic than the 360’s controller, which it technically is… but I like what I like, terrible D-pad and all. Further, those of you who have spent more time on the Playstation– whether you’ve been gaming on a PS4, PS3, or even a PS2– will probably feel most comfortable using a PlayStation controller. Notably, the DS3 and DS4 are the only controllers on this list that can be recharged. 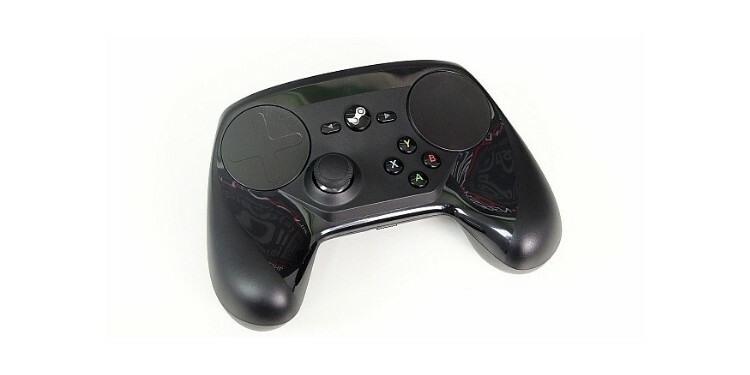 And the Steam controller exists. Okay, it’s not terrible, but it does have an odd learning curve that isn’t particularly rewarding. You’re not going to take it over to your friend’s house to play games on their Xbox One or PS4. And it’s not going to supplant a mouse and keyboard in other areas. If you are wanting a controller for R&R, then the stress of learning how to use the haptic pads probably isn’t ideal. If you’re looking for a wireless pc controller, then you’ll either want one of the Xbox One controllers, or the Steam Controller. As far as compatibility is concerned, it doesn’t really make much of a difference which controller you choose. Microsoft controllers are supported by default and there’s easily accessed, free software you can use to take advantage of a Sony controller. Nowadays, a lot of PC games even have an option in their control settings to enable gamepad, meaning the games on PC that would otherwise use keyboard mappings can easily be switched to console. Not all games have this compatibility option, though. Fortunately, the Steam Controller allows you to play most games with a controller that otherwise wouldn’t be possible due to their controller incompatibility, as the controller gives you the ability to map almost every button to your liking.